Selenium in salt form can be toxic in high doses if its intake is more than 400 micrograms per day. However, the Selenium health benefits and the turn health can take without it is amazing. Selenium is an essential trace element and is actually used in glass making as well. This particular substance is an element and does have its own space on the periodic table next to bromine and arsenic. Specifically what selenium does is aid antioxidants in their functions. It also helps they hypothalamus in its functions by aiding its enzymes in their functions. It is found in many different foods such as nuts and fish, cereals and meats, eggs and specifically Brazil nuts. Most healthy people will not ever have a problem with selenium, but people with problems digesting foods, people who get their nutrients from an IV, and people over 90 years of age may fall into the category of selenium deficient. Selenium may be helpful to the body by either acting as an antioxidant itself or by aiding the immune system. Antioxidant inhibits the oxidative reactions that free radicals carry out. Free radicals are highly reactive molecules that bind with the closest molecule to them. Free radicals can bind to DNA as well, and because of this, can cause mutations that may lead to cancer or advanced ageing. Antioxidants prevent this from occurring and thus offer some protection from cancer. A study was done March of 2009 in which it was discovered that a mixture of vitamin e and selenium may act as a agent that suppresses the growth of tumors. Also, it is thought that selenium boosts the powers of chemo drugs, reduces the toxic effect it has on one’s body, and helps keep the body from becoming resistant to the drugs. Selenium may also have applications with tuberculosis as a study was performed and it showed promise in preventing tuberculosis from reoccurring in patients. 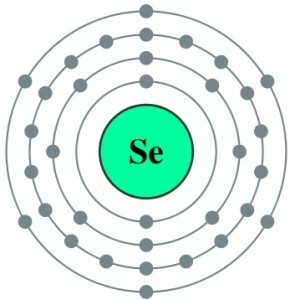 Selenium is a powerful element and should only be taken as directed. Most people do not need extra selenium intake, but talking to your doctor will help you better understand your needs. Selenium is toxic if taken in high doses, so taking care of your body means taking correct doses.